Ima Iylaa; The Art of Motherhood is a bold, breakthrough art exhibit at the 2015 Jerusalem Biennale on the divine and earthly Mother. Participating Jewish Art Salon artists: Yehudis Barmatz, Joan Roth, Dorit Jordan Dotan, Ruth Schreiber, Ken Goldman, Judith Margolis, Doni Silver Simons and Gidon Levin. “How does the Kabbalistic concept of Mother (Ima Iyla’a) find expression in our world through human wisdom, empathy, and nurturing?” Internationally acclaimed artists ask existential questions that expand the conversation on art and motherhood, and explore the yearning, pain, and loss that accompanies the quest of mother and child. Curators: Nurit Sirkis Bank and Noa Lea Cohn. 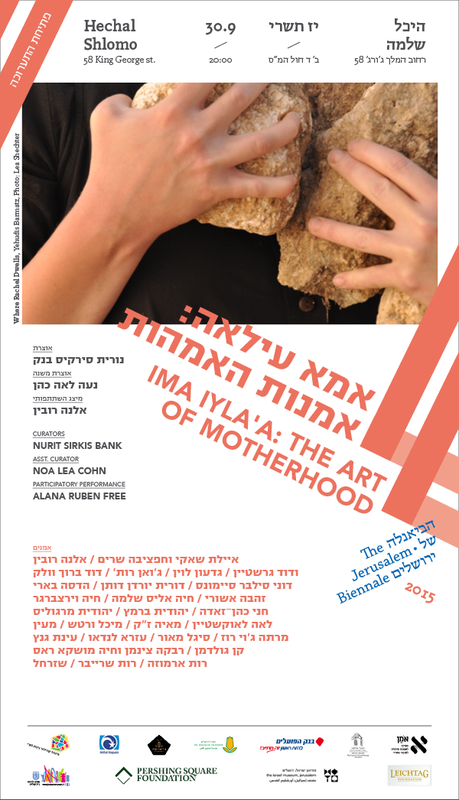 The exhibit Ima Iyla’a: The Art of Motherhood now at The Hebrew University, Mount Scopus, Jerusalem. The exhibition originated at the Jerusalem Biennale 2015.